Los Angeles, CA (January 21, 2019) - INTELITY™, the global travel industry's first and most powerful enterprise guest engagement and staff management platform, announced today that The Inn at Harbor Shores will be implementing its expansive hospitality platform, marking INTELITY’s first property in Michigan. 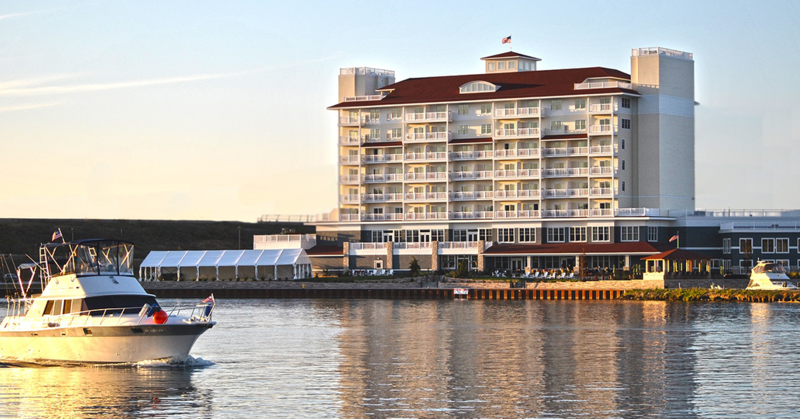 Located on one of the oldest harbors in the Great Lakes, The Inn at Harbor Shores has cemented itself as southwest Michigan’s leading resort destination. Designed in the style of the classic coastal architecture of the late 19th and early 20th century, the Inn at Harbor Shores boasts 92 beautifully appointed rooms. Through the INTELITY platform, guests and staff of the Inn at Harbor Shores will have access to a custom mobile app, in-room tablets, and INTELITY’s back office dashboard, which combined, will dramatically improve operational efficiency, drive new revenue opportunities, and meet the expectations of today’s highly-connected travelers. The rollout of the INTELITY platform will be done in two phases. The first phase will include the implementation of INTELITY’s in-room tablets, mobile app, and INTELITY’S back office solution that is integrated with Maestro, the property’s PMS. INTELITY’s mobile key solution will be implemented as part of the second phase. Guests will be able to expedite check-in and checkout via the mobile app, and use their mobile devices to enter the property’s amenities without a key, thus modernizing one of Michigan’s top resort destinations. The INTELITY platform is comprised of three key areas: INTELITY Guest, INTELITY Staff, and INTELITY Connect, each addressing common pain points experienced by service industry workforces. The INTELITY platform includes mobile and web apps, mobile key, in-room tablets, casting, as well as a complete cross-platform (desktop and mobile) ticketing and service management solution. INTELITY’s platform also offers the most comprehensive collection of discrete integrations with PMS, POS, room controls, locks, spa management, and ticketing systems. INTELITY offers management teams a robust end-to-end solution that touches all areas of the guest and staff journeys, providing full service, full circle. In 2018, INTELITY merged with KEYPR combining 10 years of hospitality experience with the most advanced hospitality technology on the market. For more information, please visit www.intelity.com. Harbor Shores is Lake Michigan’s first beach, golf, and waterfront community, located just 90 minutes east of Chicago in Benton Harbor / St. Joseph, Michigan. The community’s central amenity is an 18-hole, public Jack Nicklaus Signature Golf Course which has played host to the KitchenAid Senior PGA Championship. Harbor Shores features a full calendar of events and world-class amenities, including The Inn at Harbor Shores. Our hotel features 92 guest rooms with individual balconies and state of the art banquet facilities that can host a small five person meeting all the way to a 300-person wedding reception. While onsite guests can also access a deep-water marina, a full-service spa, waterfront and golf course dining, cafés, 24/7 health and fitness center and a public river-more walk connecting to 12 miles of recreational trails and rivers, acres of parks, green spaces and Lake Michigan beaches. Harbor Shores will be home to nearly 500 residences, including charming cottages, signature homes, townhomes and condominiums. Current real estate opportunities include golf and riverfront home sites, riverfront cottages, golf view homes and condominiums on the top two levels of The Inn at Harbor Shores. For more information, please visit www.harborshoresresort.com or www.innatharborshores.com.